Dear friends, Anders Parker is proud to announce the release of “New Multitudes”, today, February 28, 2012. Jay Farrar (Son Volt, Gob Iron, Uncle Tupelo), Will Johnson (Centro-matic, South San Gabriel), Anders Parker (Varnaline, Gob Iron, Space Needle) and Yim Yames (My Morning Jacket, Monsters of Folk) gratefully deliver New Multitudes, an intimate interpretation of American icon and musical legend Woody Guthrie’s previously unrecorded lyrics. On the year of the centennial celebration of Woody Guthrie’s birth year, New Multitudes is being released on Rounder Records as a 12 track release (CD or LP) and a 23 track deluxe, limited edition 2 CD package. The limited edition features original Guthrie lyric sheets, the 12 track release, and 11 additional compositions recorded by Farrar and Parker. 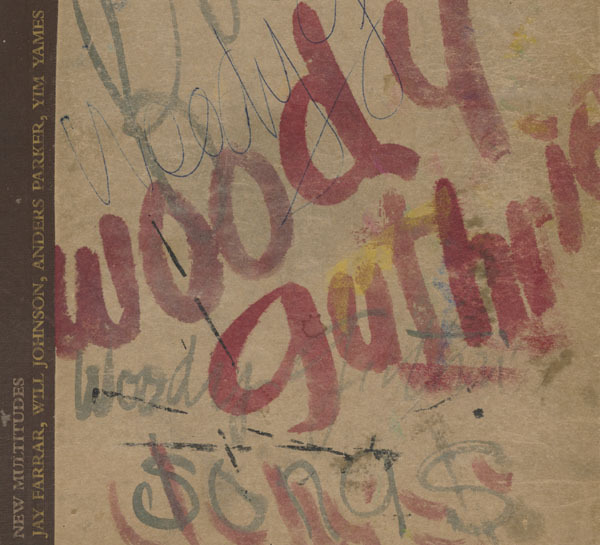 Under the invitation of Nora Guthrie, Woody’s daughter, to tour the Guthrie archives, each of the four songwriters were offered the chance to plumb and mine the plethora of notebooks, scratch pads, napkins, etc. for anything that might inspire them to lend their voices and give the words new life. Musically, it is the sense of collaboration that makes New Multitudes not just another trite and traditional acoustic regurgitation of back porch blues. From the ragged jangle of its opening track, “Hoping Machine”, the loping lilt of “Fly High”, the floorboard stomp of “No Fear”, to the lush warmth and sudden sonic gut punch of “My Revolutionary Mind” the cohorts deliver a lesson in discovering a song’s sweet spot. It’s the function and preparedness of each artist’s dogged work ethic gleaned the old-fashioned way; veracious songs, road weary odometers, and sweat stained live shows, all attributes of the man they are honoring. ← The RiceCookers are back!